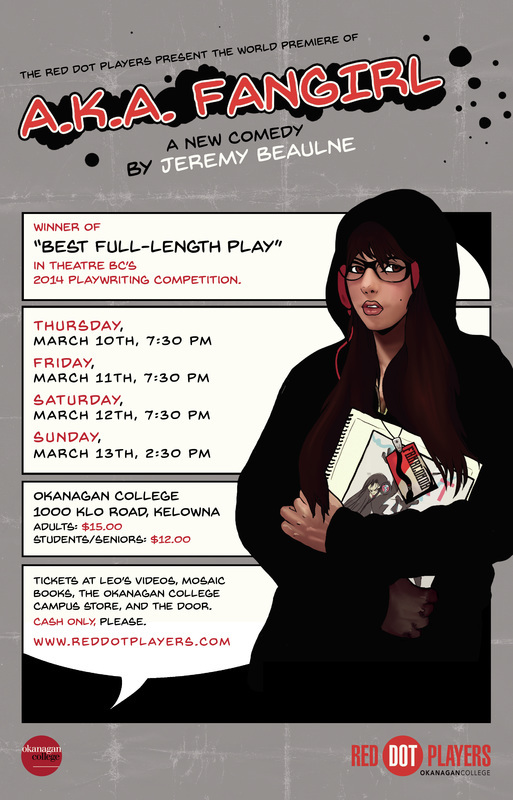 Poster designed by Okanagan College Writing and Publishing student Sarah Kloos. When intelligent, independent Elizabeth Bennet meets Fitzwilliam Darcy, she finds him proud, pompous... and strangely attractive! How can Lizzy have feelings for a man who thinks himself superior to her and her family? How can he possibly have feelings for her? Are Lizzy and Darcy destined to win in the game of love? 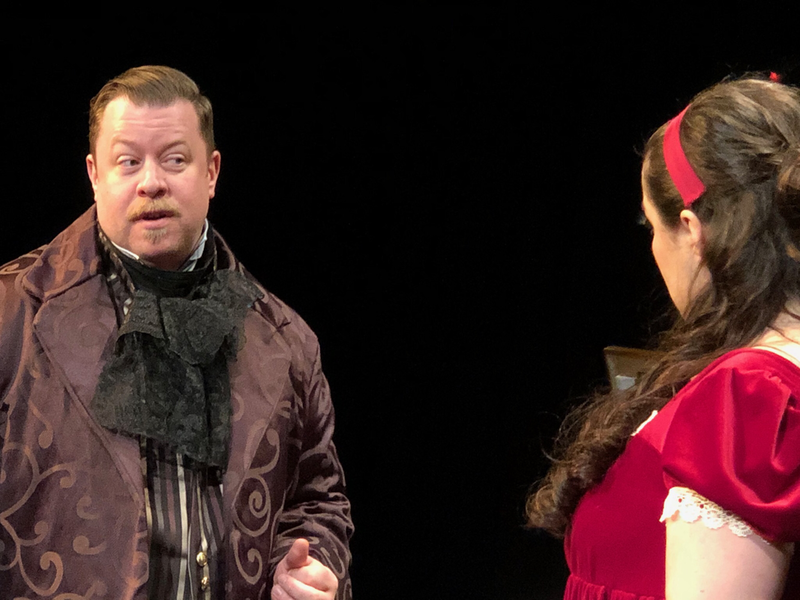 Find out in the Red Dot Players’ production of Pride and Prejudice, Kate Hamill’s exuberant, hilarious new adaptation of the classic novel by Jane Austen! Seating at 5:30; performance at 7:30. Tickets on sale until March 10th. Tickets available at KelownaTickets.com and the door. 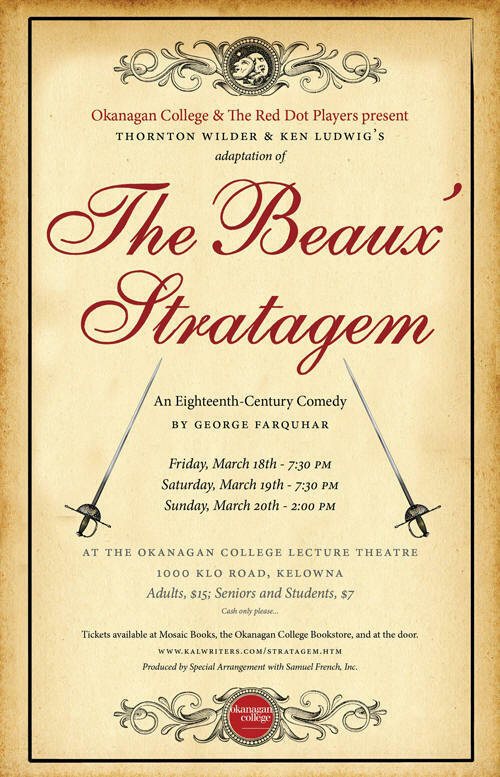 Pride and Prejudice and Dinner at Okanagan College! It is a truth universally acknowledged that the only thing more fun than a Jane Austen work adapted for the stage is a Jane Austen work adapted for the stage that also includes fine dining. Such is the message that Okanagan College’s own theatre troupe, the Red Dot Players, have for audiences this spring as they present Kate Hamill’s adaptation of Jane Austen’s beloved novel Pride and Prejudice. 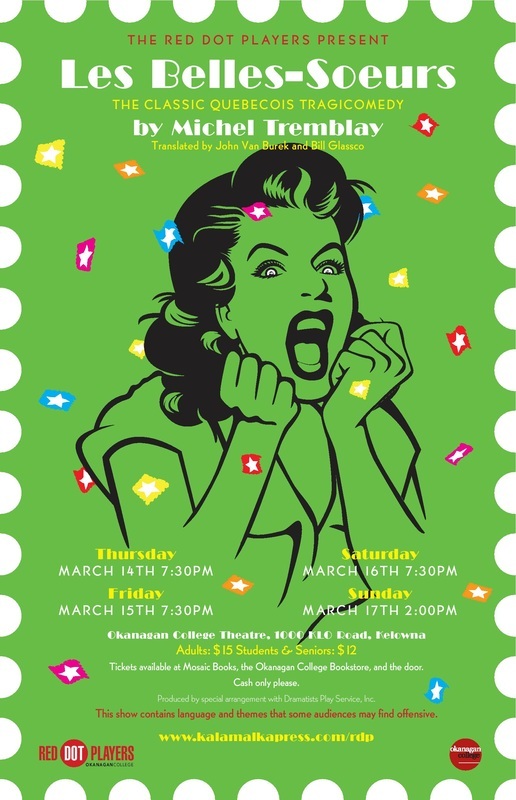 The play will run for three evenings, from March 14-16 (curtain goes up at 7:30 p.m.) along with a matinee performance at 2 p.m. on Sunday, March 17. Tickets are $18 for adults and $15 for students and seniors and can be purchased online at kelownatickets.com or at the door. Pride and Prejudice marks the tenth production for the Red Dot Players, founded in 2011. To celebrate the milestone, the troupe has decided to bring something special to the table: dinner theatre. On Thursday, March 14 and Friday, March 15 attendees can combine a performance of Pride and Prejudice with a gourmet meal at Infusions Restaurant on the Kelowna campus, which is located just steps from the theatre. The meal will consist of a set appetizer, a choice of three main courses (including a vegetarian option), and a dessert. Seating for dinner will be at 5:30 p.m., giving diners plenty of time to savour their meal and anticipate the performance at 7:30. 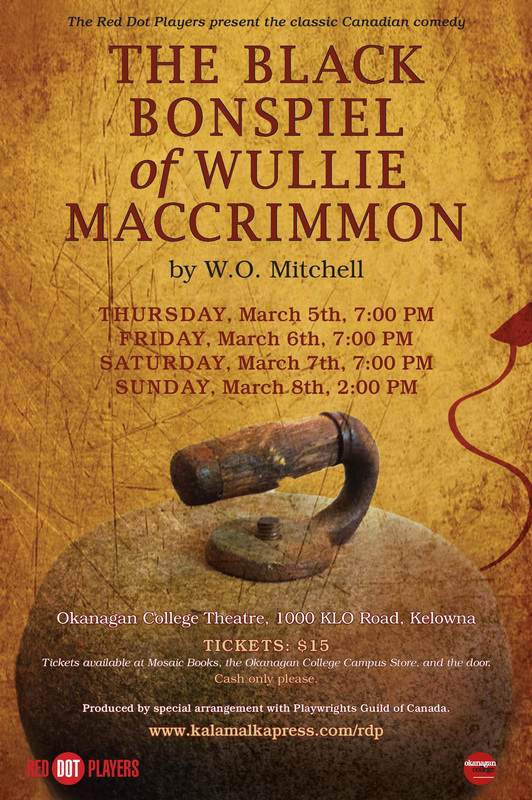 The play’s Director, Jeremy Beaulne, who is also a professor in the English Department at OC, is excited to bring Hamill’s fun and fast-paced adaption to audiences in the Okanagan – with that treat for foodies thrown in. “It’s going to be such a fun show. 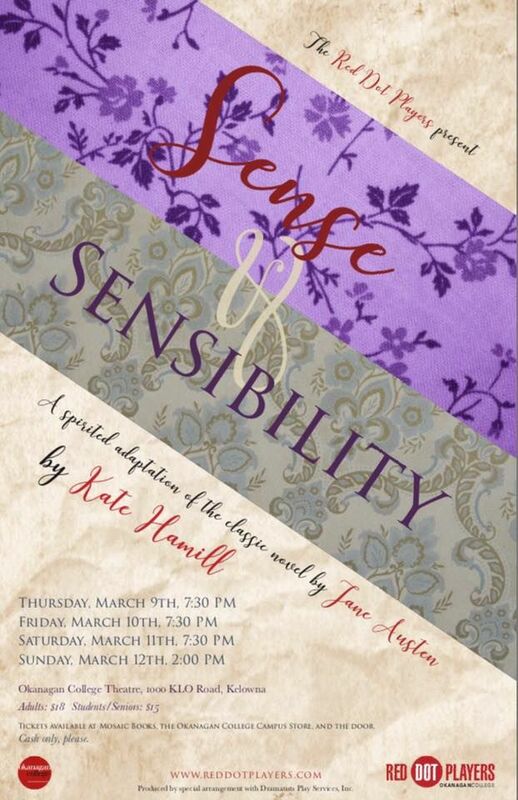 Kate Hamill – who is a young playwright from New York – really captures the spirit of Jane Austen’s novel and presents it in such an exciting and engaging way. There’s great comedic characters and a wonderful emotional arc. It’s fast-paced, it’s energetic, and overall, it’s just going to be a really enjoyable experience for the audience, I believe,” says Beaulne. 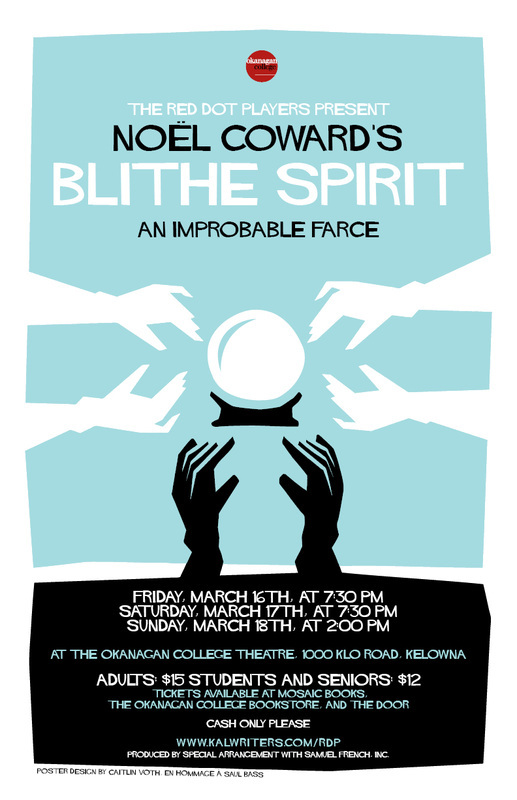 Tickets for dinner theatre are $50 for adults and $47 for students and seniors. 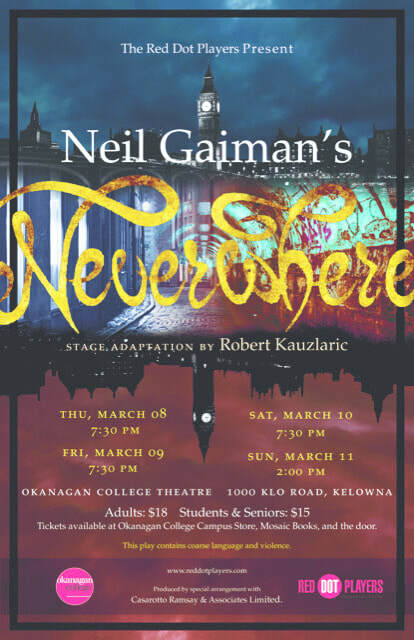 Seating is limited so dinner theatre tickets are only available until March 10. 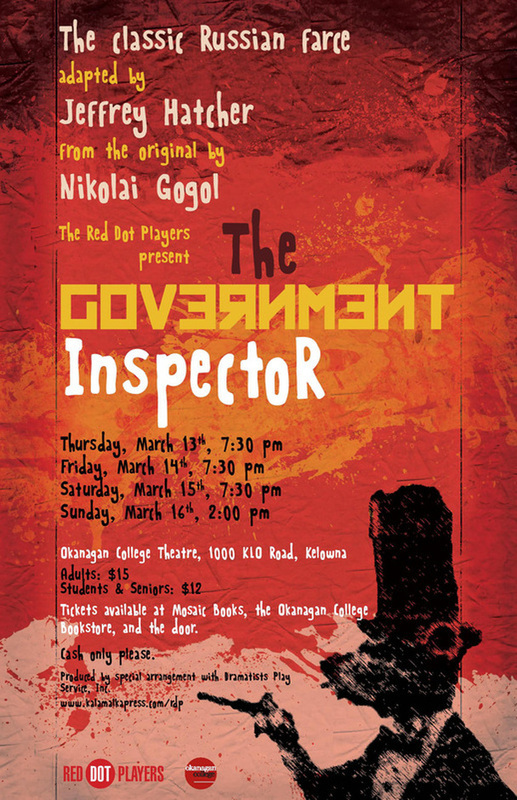 All posters designed by Okanagan College Writing and Publishing students.